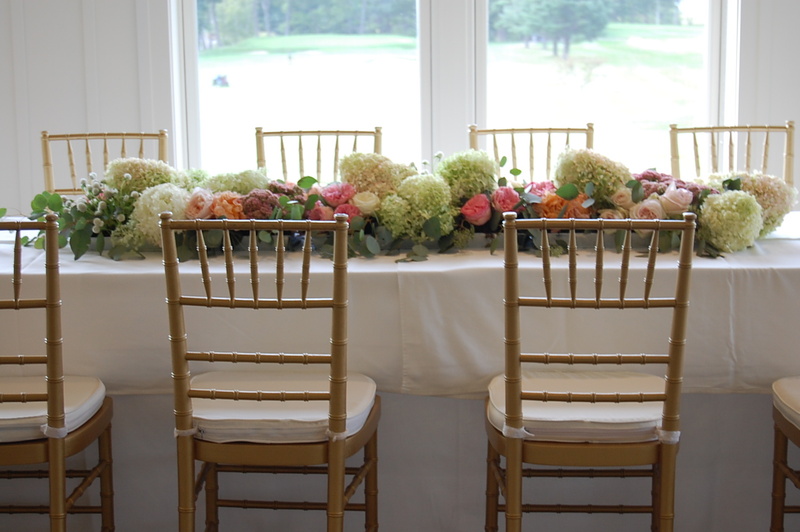 My favorite new wedding trend…floral table runners. 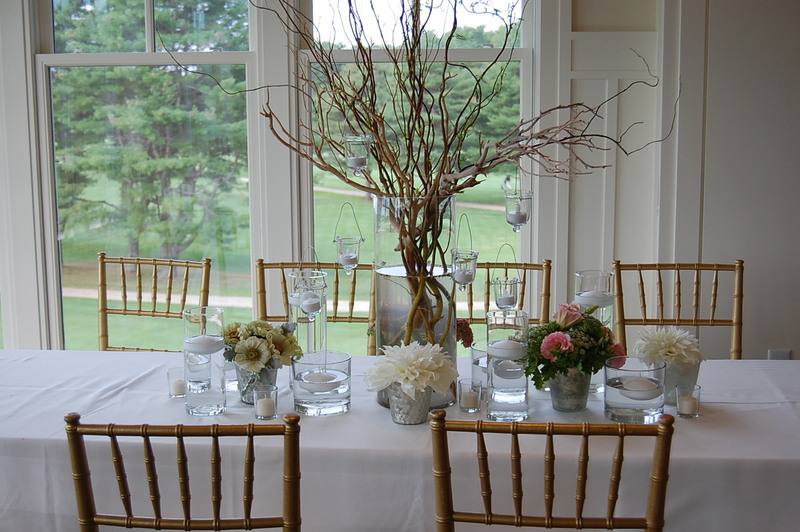 I did the flowers and décor for a wonderful wedding last weekend. My favorite floral arrangements were the floral table runners. I had such a good time making these and the flowers from Snell Family Farm, were AMAZING! 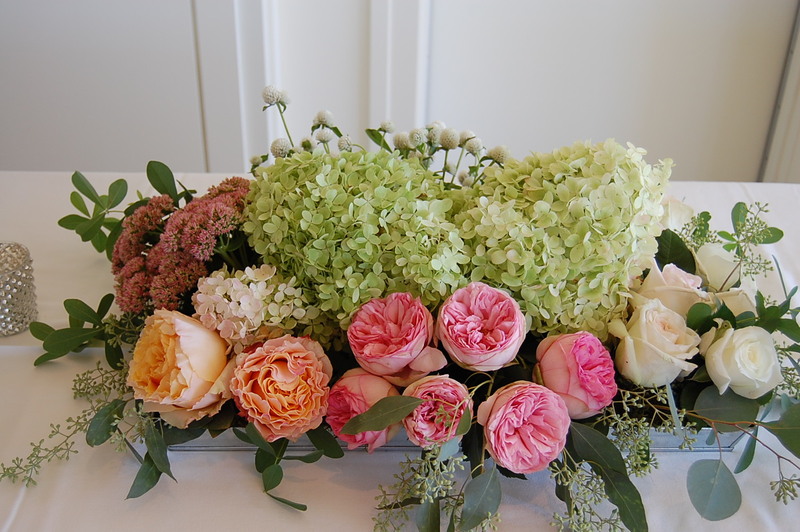 I thought I would share the step by step directions for how to make these beautiful arrangements. All the photos were taken my amazing friend Anne Sowles, who with my other friend Deb Hides made this wedding possible! Step 1: Start with beautiful flowers. 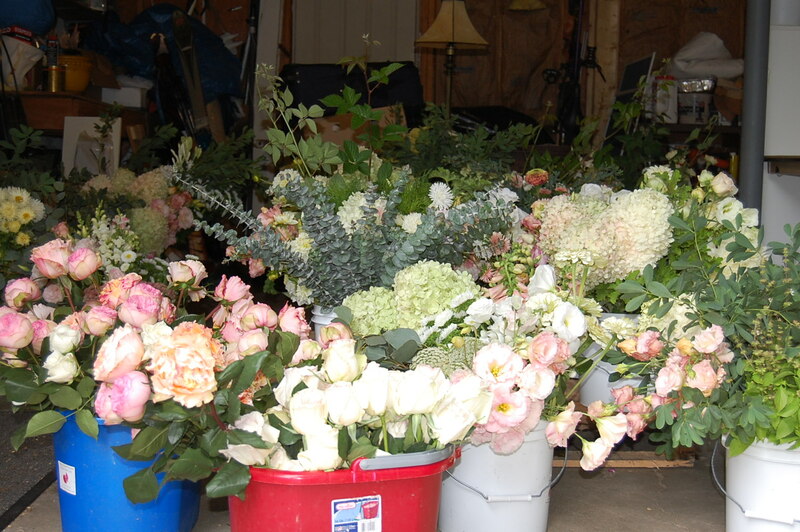 Here are the flower buckets filling my garage. Step 2: Sort your flowers and strip them of their thorns and leaves. 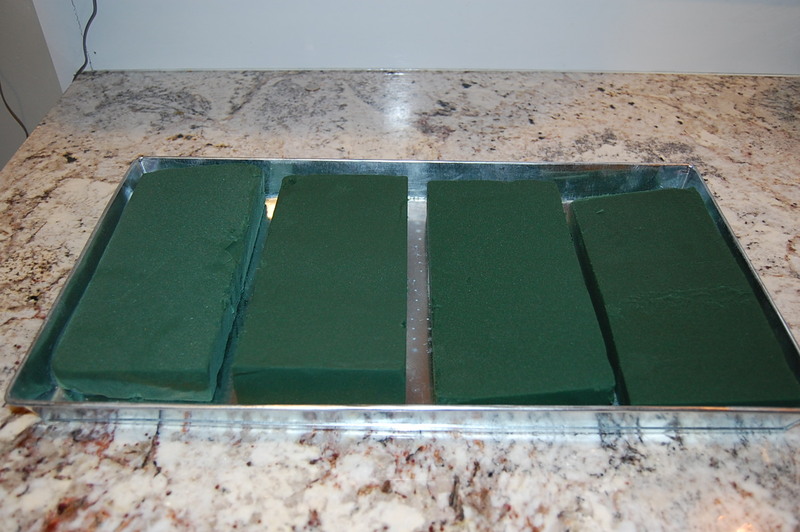 Step 3: Cut floral foam to fit your trays. The soak your foam in lukewarm water. 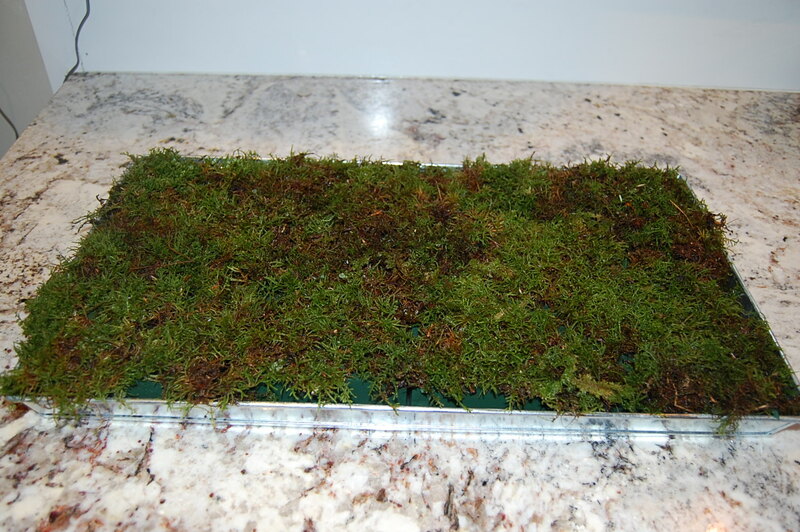 These trays were 12″ x 20″ x 1″. Step 4: Cover the foam with moss, make sure you wet the moss and pull it apart so you can stick flowers through it with ease. Step 5: Add your greens, I like greens that spill over the sides. 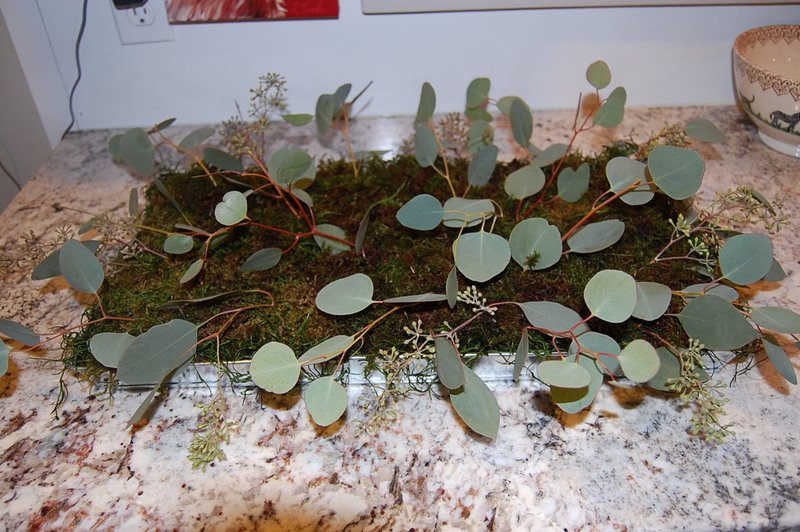 This is seeded Eucalyptus. 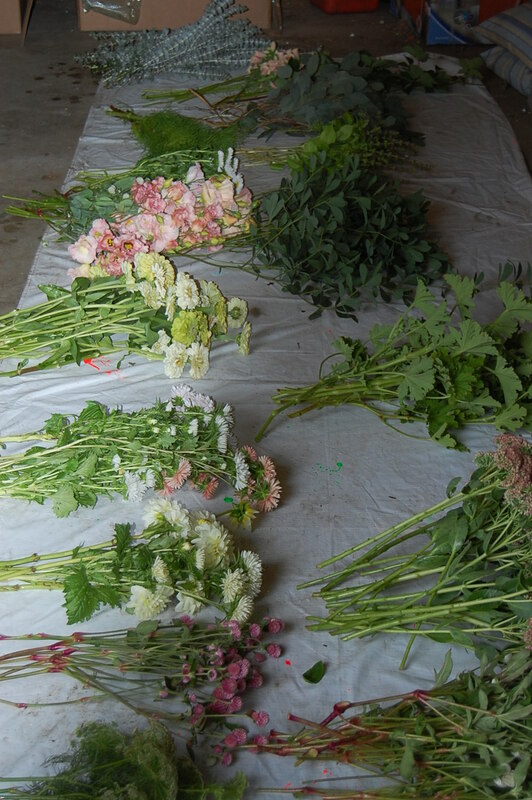 Step 6: The fun part…add your flowers! Here is the final product! It was really pretty! 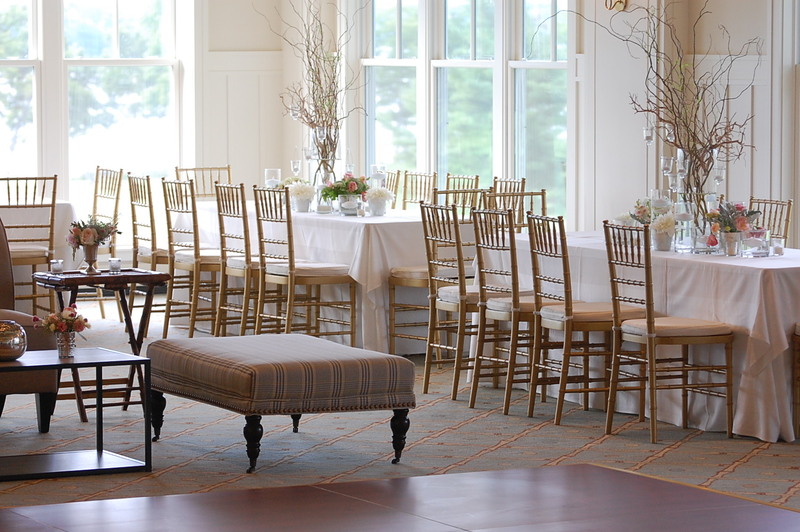 In addition to these table runners I had some tables with groupings of floating candles and some soft seating with small arrangements. 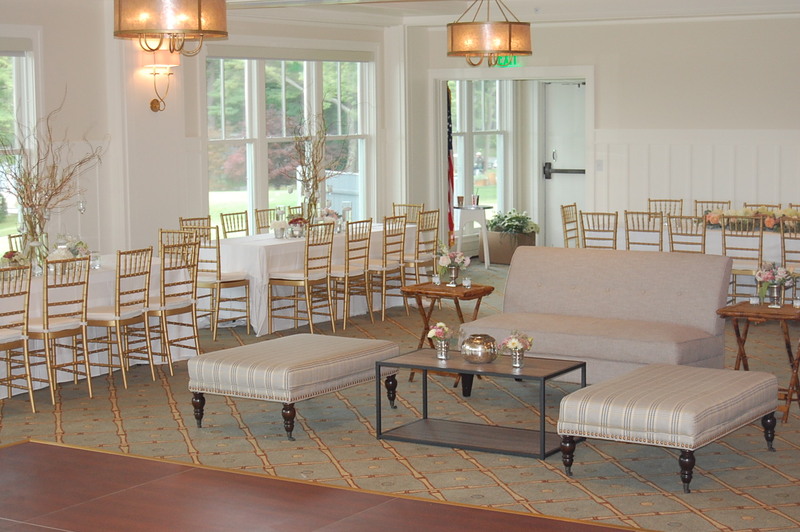 I love the mix of long tables and soft seating around the dance floor. This wedding was so much fun, but I have to say I am looking forward to fall and getting back into interior design. I hope you enjoyed this post, let me know by commenting or liking it! if you are not already following my blog, please click the follow button. I think quite possibly that is the best that room has EVER looked!! Beautiful!